A law student is threatening legal action against Nestlé after she bought eight bars and none of them had wafers inside. After finding no wafer inside her first Kit Kat, Saima Ahmad went on to check her other seven bars. To her horror, all of these other bars were wafer-less as well. Somewhat reasonably, she immediately decided to threaten legal action. A loss of "emotional significance"
"The truth of the matter is; manufacturers owe a duty of care to consumers." "The specific duty you owe in consistency in your manufacturing process. The failure to take due care in the manufacturing process resulted in a product being defective." "As a result I feel as though I have been misled to part with my money and purchase a product that is clearly different from what has been marketed by Nestlé." "The loss I have suffered is of monetary and emotional significance." "Clearly, if I wanted to purchase a confectionary item that is purely chocolate, I would have purchased a bar of Galaxy." Oooh, burn Galaxy. You got burned in a legal letter of complaint. The offending bar. Just looking at this makes us want to sue. 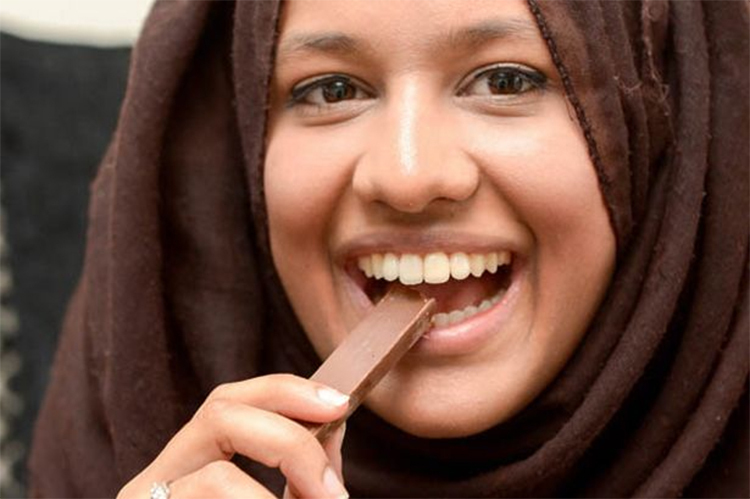 "They should definitely give in to me"
Saima, from Kings College, London, claims Nestlé breached duty of care to customers in supplying her eight bars of chocolate without wafers. She is putting her law studies to good use, threatening further legal action if her for a lifetime supply of Kit Kats are not met. She even included legal precedent from the 1930s to back up her case. "They should definitely give in to me. I'm hoping my demand will go higher than the customer service platform." 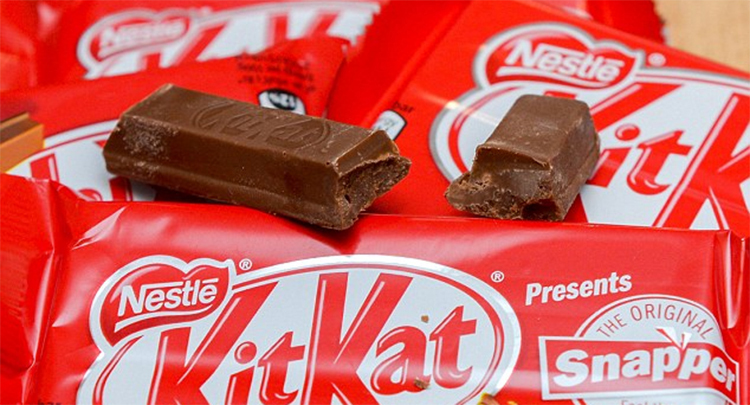 "I'd like the CEO of Nestlé to respond to my letter because it's an extremely important issue. I'm trying my luck - if you don't ask you don't get." "I would therefore like to request a life-long supply of KitKat so that I can act as a means of quality control - it appears you need me more than I need you." No stranger to controversy, Nestlé have admitted to slavery in Thailand this week, whilst also fighting a child labour lawsuit in Ivory Coast. So although Ahmad's claim for free bars may be a good one - it may be low on their list of priorities right now, whilst they deal with the whole "allegations of forced child labour" thing, and potential human rights abuses on a massive scale in their supply chain. The defective bars, which cost Ahmad £2 from a local supermarket, may have to take a bit of a back seat. Nestlé say they are taking control of their supply chain in order to stop slavery, but have not yet responded to Saima's demands for a lifetime of chocolate. 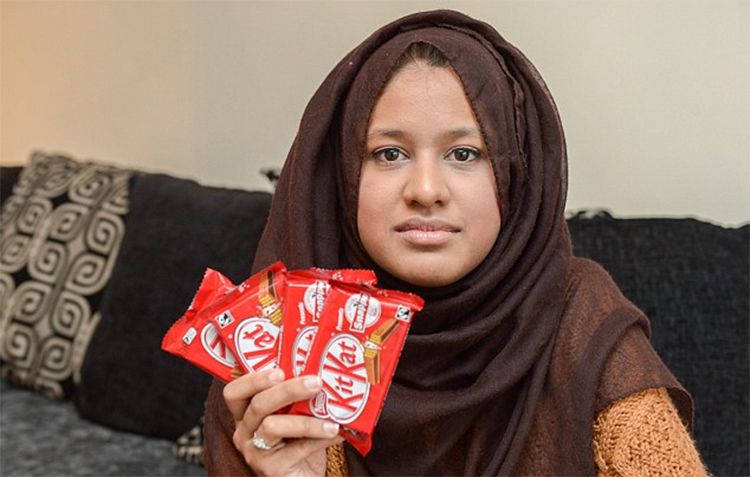 "I'd never get bored of Kit Kats"
Saima told the Mail that even if she did get a lifetime supply, she still wouldn't get bored of the bars. "They go about advertising the unique concept of KitKat, but I'm so disappointed by what I have purchased. I'm hoping they will apologise to me and in future focus more on quality of their product." "No one else in that industry has that unique concept about mixing the wafer with the chocolate and that's why I'm a fan." We hope Saima receives her lifetime supply of chocolate, and it helps her get over the emotional trauma she's suffered.